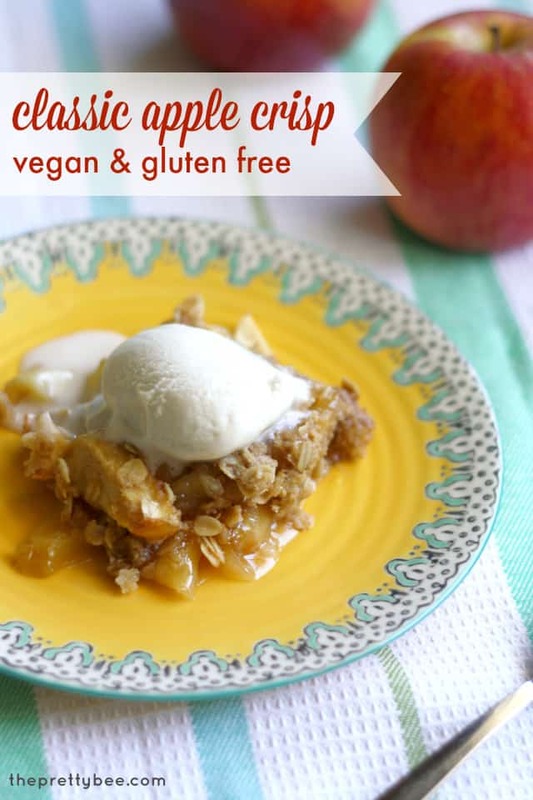 Home » Dairy Free » Gluten Free and Vegan Apple Crisp. Gluten Free and Vegan Apple Crisp. Warm apples and a crunchy oat topping make this gluten free and vegan apple crisp and must-make dessert for autumn! It’s October, and that is the official start of apple dessert season in my mind. Apple pie, apple bread, caramel apples, and of course vegan apple crisp. Is there anything better than cinnamon apples topped with a crispy, sugary topping? And when it’s topped with dairy free ice cream? 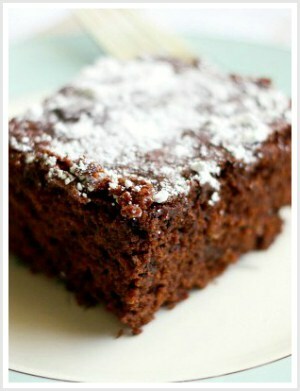 Such a wonderful, classic fall dessert. 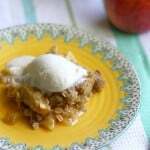 I made a vegan apple crisp this week, and it was gobbled up pretty quickly, so I thought I’d share my recipe here today! 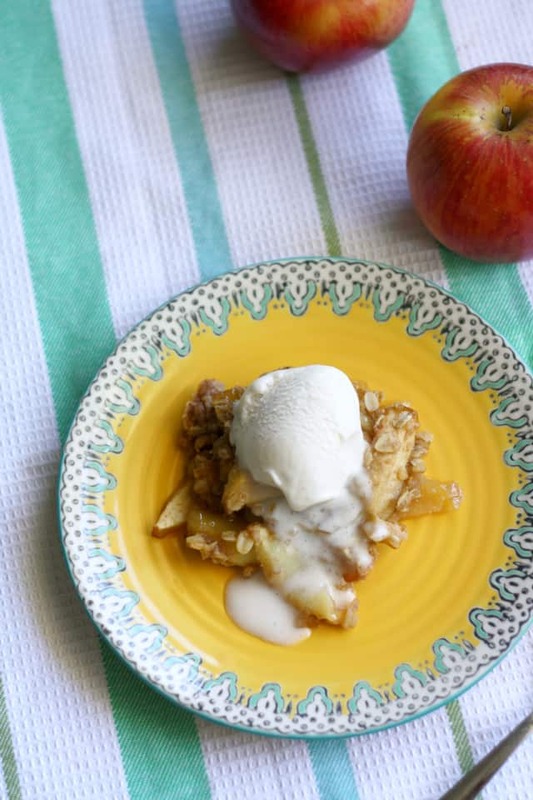 Warm and cinnamon-y, this apple crisp is a delicious fall dessert! Preheat oven to 375 degrees. In a large bowl, mix all of the filling ingredients, then place your fruit in a 9×13 glass baking dish. In a separate bowl, combine the flour, oats, cinnamon and brown sugar and stir. Add your buttery spread and cut in with a pastry blender until combined (it will be lumpy with little balls of butter). Spread the crumb topping over the fruit. Place in oven uncovered, and bake for about 25-30 minutes. Serve warm, plain or with vanilla ice cream. We topped it with coconut milk vanilla ice cream this time, but we also love it with almond milk ice cream. In Kelly’s head: Does it have fruit? Is it a pie or crisp? I’ll warm it up and it’s breakfast! What apple desserts are you looking forward to this fall? 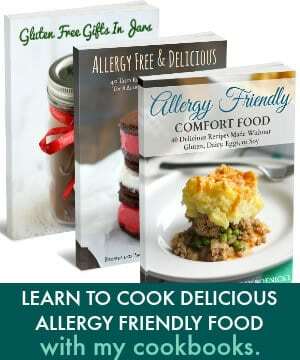 « Easy Gluten Free Cracker Recipe. 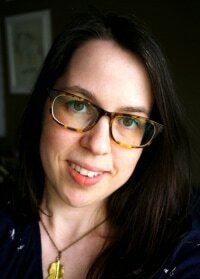 Found your blog via 31 Days and am obsessed already!!! 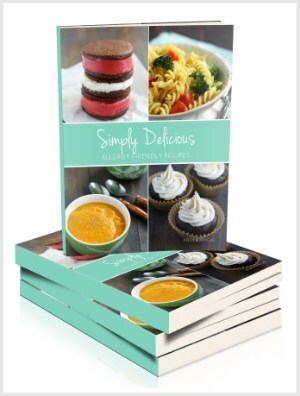 Cannot WAIT to make all of your delicious (healthy!) treats! Love your photos, too :) will definitely be following along from here on out! I think I’ll try this sometime this fall. I like that this gf version doesn’t include nuts, as I am (sadly) not tolerant of them either. Thanks!